This post contains affiliate links. I love blogging, but I’ll be honest —it can be time consuming, hard and just sometimes overwhelming! In my time blogging (I can’t believe I have had a blog for over six years! ), I have seen many bloggers come and go. It is NOT easy y’all. Especially if you have a full time job and your blog is your side hustle or creative outlet. Figuring out how to potentially make a profit of your hobby can be so challenging. I know because that is my story. I started my blog for fun and as an outlet for my writing. I have over the years made almost 10,000 through blogging and while that is not a huge chunk of change, it is a significant side income that I truly appreciate. Read on for how you can check out this training from the woman behind the blogging resource that completely upgraded my efforts to make an income from my blog. Elite Blog Academy® is the TOP blogging resource out there, in my opinion. I have learned SO DANG MUCH about blogging. I have gotten clarity and as stated above, I’ve made a good bit of money of the past few years. Blogging has definitely turned into my side hustle and that is fun for me! And you know what? None of this was by accident. Since 2014, Elite Blog Academy® has been field-tested by tons of bloggers. The program is designed to get results, and it does. In fact, it even comes with a 100% money-back guarantee, which means you’ve literally got nothing to lose. But don’t wait! Enrollment for Elite Blog Academy® only opens ONCE a year, for five days only. If you want in, you’ll have to act fast! This year, the doors officially open on March 5th, but EBA® founder Ruth Soukup is offering a free training series the week before hand called Blogging Made Simple that I highly recommend. You can get registered for this free training H​ERE. While blogging is NOT simple, you can learn strategies to help grow your blog. 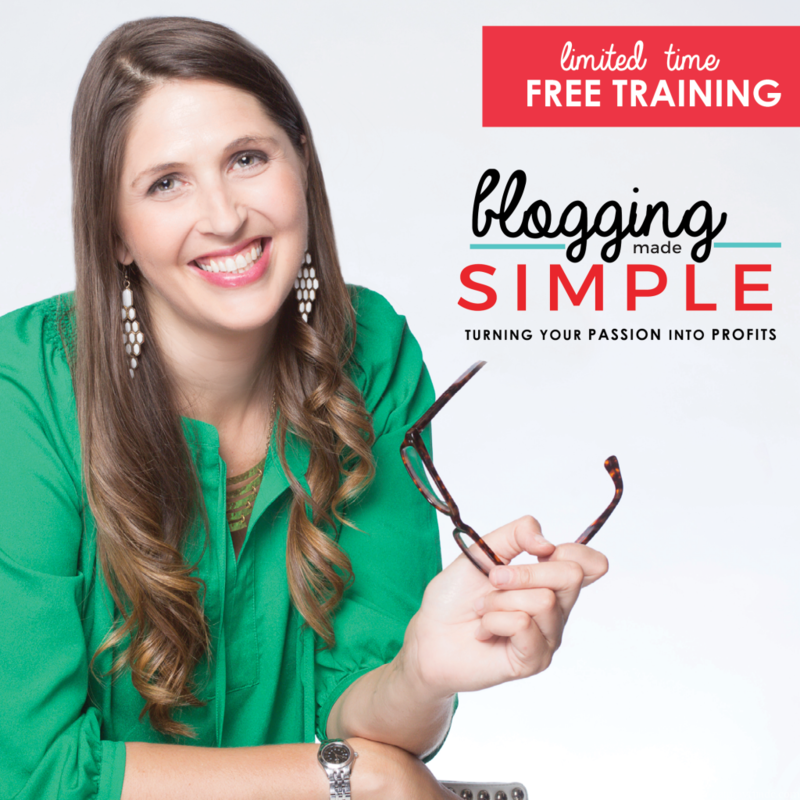 I encourage you to check out the free training to see how you might be able to grow your blog! Have you ever taken a blogging training / course? Awesome. I think you’ll love it – let me know what you think! I love the fact that you mentioned blogging as a creative outlet! I often wonder why I do this (I haven’t progressed or attempted to make money at it) but I just enjoy it. I know that I need to be more consistent. And I could use a blogging class for sure! Thanks! Yes I enjoy the creative aspect and also the accountability. I took a blogging class this past Saturday and it was really a morning well spent! I’ve figured out a lot on my own over the years but I picked up so many more useful tricks! Hey, fellow Volée! I’ve been wanting to start a blog (both as a creative outlet and as a source of income) and am looking at EBA but the price tag gives me pause. I’d love to hear more about your experience with it! Hi there, Erin. You can search EBA to read previous posts or you can let me know if you have specific questions – I’d be happy to answer. I love that EBA is a lifetime membership – I’ve repeated the course a couple times and always learn more. Also the community is simply amazing. I have no doubt I would NOT have made the kind of money I’ve made (several thousand a year), without it!